Welcome, dear reader! If you’re a fan of the Legend of Zelda series, you are in the right place. 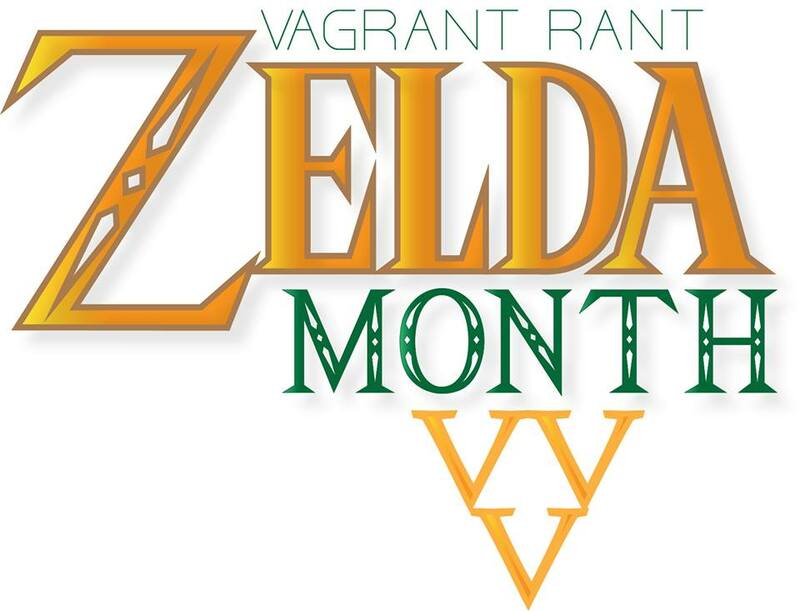 Over the next 30 days on Vagrant Rant, leading up to the October 5th Australian physical release of The Legend of Zelda: Wind Waker HD on Wii U (it will probably show October 4th on WordPress), you will see fifteen Zelda-themed countdowns. Not all of them are top tens; some are top fives and some top fifteens, but overall there will be 150 listed Zelda, er, things on this site by the release of that gorgeous-looking game. I’m going to try to make this as comprehensive as possible, so some of these lists might seem a little odd. Honorable mentions are in no particular order. Also, I’m pulling 90% of my images from one excellent site, zeldawiki.org, which sometimes goes down. So if images don’t appear when you view a countdown, that is the most likely explanation as to why. The major series outlier and, by some accounts, the hardest of the bunch, I do own this game on my 3DS (it was a free Ambassador download back in 2011) but have never actually booted it up. I’m open to being sold on its merits, but I can’t see myself playing it in the immediate future. I missed this and its sister game Oracle of Seasons on the Game Boy when the pair first came out, but this year Nintendo re-released them on the 3DS eShop. I downloaded Seasons while my brother downloaded Ages. We have the intention of swapping passwords after we both finish to unlock the true ending of the adventure, but neither of us is even close to beating the game yet. Messed around in the beginning for about an hour when I downloaded it for free as a 3DS Ambassador title. Haven’t gone back, but I might someday. People still say good things about it. I have only finished one dungeon of this charming game. See the Oracle of Ages entry above for more. Two dungeons down in this 3DS Ambassador download, something I achieved two years ago before being distracted by something else. I went back to it briefly this year but was thoroughly confused about where I was supposed to be up to. I bought this one on DS the day it came out, way back in 2007. I really tried to like it, but couldn’t get very far at all because of a number of issues. You can read about some of these in my opinion piece on the DS Zelda games. I played and finished the slightly altered GBA version. Never even seen the SNES one in action. Finished in 2011 after downloading from the 3DS eShop, while waiting for Ocarina of Time 3D. Finished both versions, although without all heart containers on the N64. Finished 100% in an intense 10-day period back in 2001. Completed about a month after its May 2003 Aussie release. Came bundled with that GBA port of A Link to the Past. I finished the game with a friend over a few sessions around its launch. Took many months to complete, but I did so in full co-op with my three siblings. Played and completed the Wii version soon after picking it up on the Wii’s launch day alongside the system. Completed about two weeks ago. Took around a month to finish in the lead-up to Christmas of 2011. So, without (much) further ado, let’s get started!